The AMA Victoria Women in Medicine Committee is looking forward to bringing you more inspirational and supportive events and collaborations in 2019. Our latest Stethoscope article looks at the contemporary use of social media in medicine. 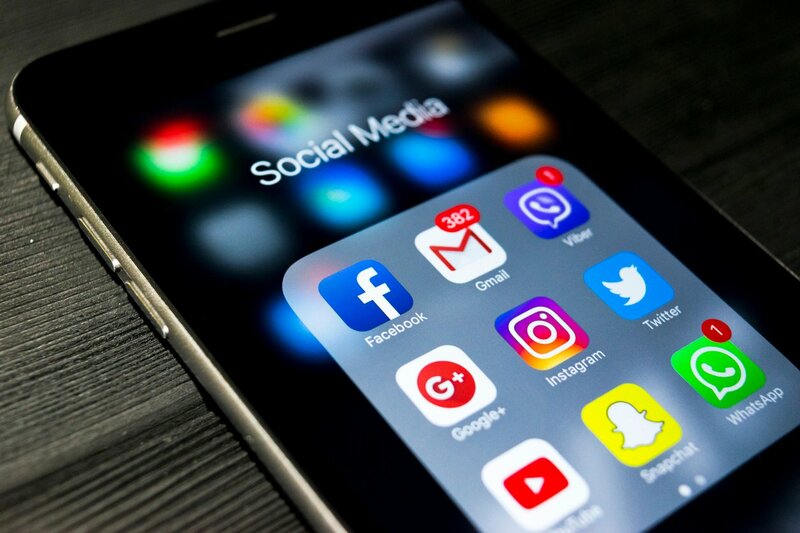 Social media platforms such as Instagram, Facebook, Twitter and LinkedIn are increasing in popularity amongst the medical workforce, with many physicians using the online platforms for both professional and personal purposes. Not surprisingly the next generation of future doctors – current medical students – have the highest rate of use, using social media for education and advocacy during their training. However, it’s becoming more common for older doctors to launch into the networking tools, further expanding their communication and collaboration opportunities. These platforms are providing a voice for women in medicine, offering a space to talk about topics that have previously been confined by social and gender barriers, such as sexual harassment or discrimination in the workplace, lower pay, maternity leave, slower career advancement, lack of role models and mentors, burnout, social isolation and the difficulties of juggling a career, family and a life outside of medicine. Facebook has become a widespread safe space for these conversations using private online support groups to foster supportive communication between female medical students and doctors in all stages of their careers. These groups have grown in popularity, offering a coping mechanism and encouragement for women in medicine to build communities of like-minded professionals and virtual networks, accessible 24/7. Outlets like Twitter are also utilised for communicating educational messages and the latest in research, allowing doctors and clinical researchers to connect remotely over common interests. Instagram is also used as a supportive and uplifting platform, inspiring young female physicians to overcome barriers and change social norms with the use of hashtags such as #ILookLikeASurgeon created by Dr Nikki Stamp, one of the 11 female cardiothoracic surgeons in Australia. This is providing women in medicine with role models and mentoring opportunities that had previously seemed inaccessible. Career benefits through social media have been observed through additional avenues for circulating novel research and voicing unique visions, insights and attitudes in specialist areas. Building an online presence and consequently professional reputations and dissemination of academic success is also of particular benefit to women, as these modes of communication do not rely on mentorships or invitation, areas where women have been traditionally disadvantaged. Although for the most part there is a strongly supportive and encouraging community of social media doctors and medical students, there is also a distaste amongst those who are not onboard with the online movement. Online bullying is not isolated to school children; it can also be experienced within the medical community. Having an online presence can also draw unwanted attention from those who are less encouraging and more judgemental. While mostly well-received, some medical students have faced bullying from peers as a direct result of their successful engagements and enthusiastic medical media content. Privacy is becoming a growing concern, both for the practitioner and their patients. Many medical institutions are enforcing strict social media guidelines to prevent the privacy of patient experiences being exposed, sometimes unknowingly to the internet at the benefit of those posting. Many practitioners with a wide following are also becoming cyber celebrities and the added limelight can add extra pressure not previously experienced in their careers. The online glamorisation of a medical career is also a concern for the future mental health of doctors and medical students. As with all posts on social media we often rarely see the negative sides of life and only the highlight reel of people’s lives. This can give an unrealistic expectation of what medicine really is and can impact those going through hard times in a negative way. Overall the use of social media in medicine seems to be growing with seemingly no end in sight to its possible uses over one’s career. When used correctly it can be a wonderful technique for boosting your communication, connections and career. Some useful social media tips include: be respectful, avoid swearing or arguing and always try to be nicer online than you are offline.